It’s good to be back – we’re in 6th class this year and already, we’re taking on a lot more responsibility in our school. 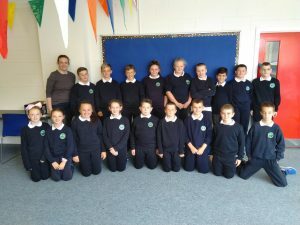 Our teacher this year is Ms Sexton, who was also our teacher in 2nd class – you can see how much we’ve changed here. We look forward to updating you on all of our adventures this year!